How the HECK Are Armadillos Real??!! Filed to: armadillos?? ?Filed to: armadillos??? According to zoologists, armadillos are mammals with tough leather hides classified in the Exafroplacentalia clade and Xenarthra superorder, two categories that also include sloths and anteaters. 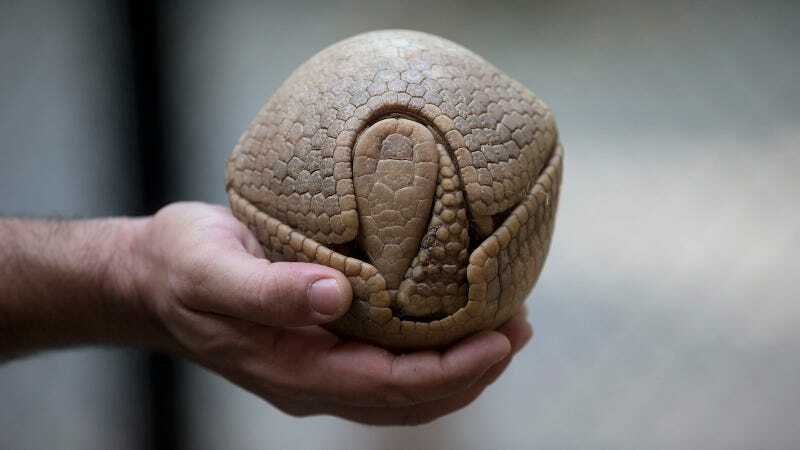 According to me, however, armadillos are pokéballs with freakin’ muskrats living inside them. Safe to say: WHAT THE HECK! It has flippin’ hoof-stilts like a total FREAK. And I’ve got a bridge to sell you! This “living creature” is actually a weird damp telephone and guess what? God’s calling to tell you that he made some mistakes!!! These tiny stegosauruses just...exist in the southern United States. And they can carry leprosy. Did you know that the Aztecs called armadillos “turtle-rabbits?” Makes perfect sense, IMO.